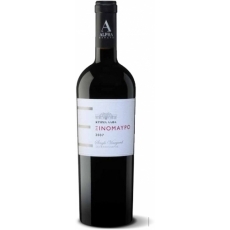 Wine Advocate 90 Points The 2009 Xinomavro Hedgehog Vineyard is from a high-altitude site (690 meters), aged in French oak for 12 months and held back for another 12 months in bottle before release. If the Axia Syrah-Xinomavro is not the big bargain point in this lineup, this relatively new bottling surely is. I was not quite expecting the power – it actually seems more intense than the 2008. Earthy, bright and gripping, with both acidity and tannin on the finish, this has a charmingly rustic feel to it at a very fine price point. Like many of Alpha’s wines, it will need a food matchup. It isn’t a sweet, sip-on-its-own type of wine. But there is a lot of STUFF going on here for this rather modest price range.